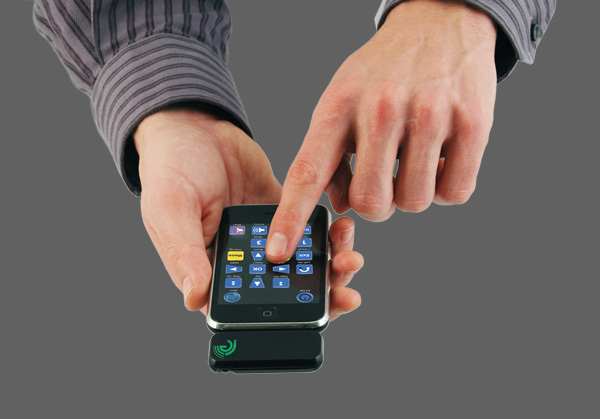 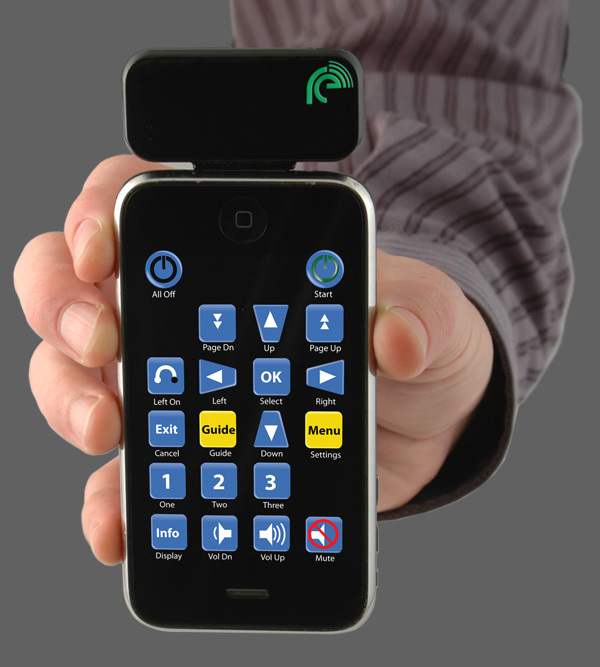 This wonderful accessory plugs into the docking port on an iPhone (or iPod Touch), and turns Apple mobile platform into the holy grail of living room devices — a full programmable, multitouch universal RI remote. 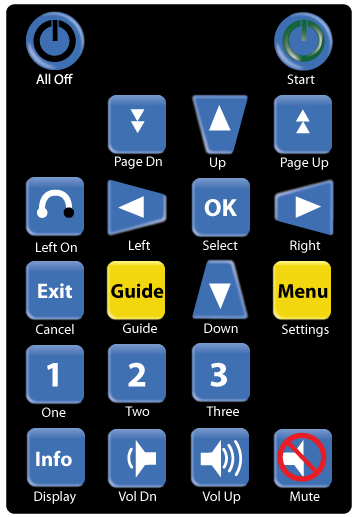 Included features are: an extensive library of IR codes, customizable buttons, and RF learning from other remotes. The accessorywill be used along with an app. There is not much information about this gadget yet, but it will be officially announced at CES in just a few weeks.